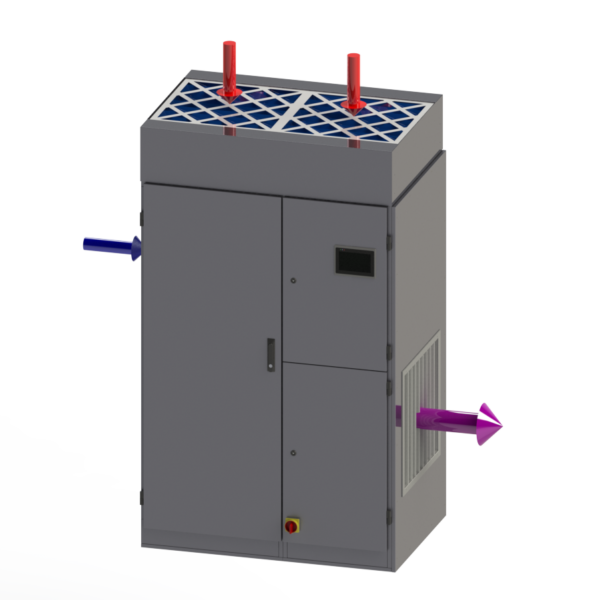 The ECT Internal range of coolers combine a ventilation system, evaporative cooling, recirculation, filtration and CREC® controls into a single box solution, this design significantly reduces installation costs. ECT units are not suitable for external use and are predominantly used in IT cooling installations. 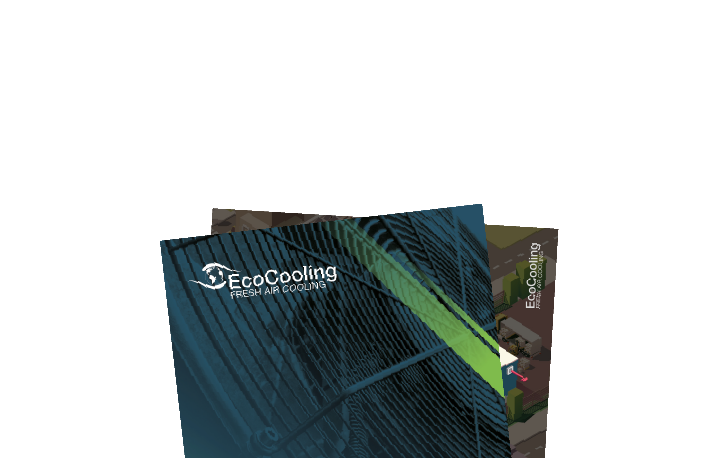 The ECT5400 is part of EcoCooling’s internal evaporative cooler range. The compact design facilitates installation, making it the ideal option for small server or telecommunications rooms. 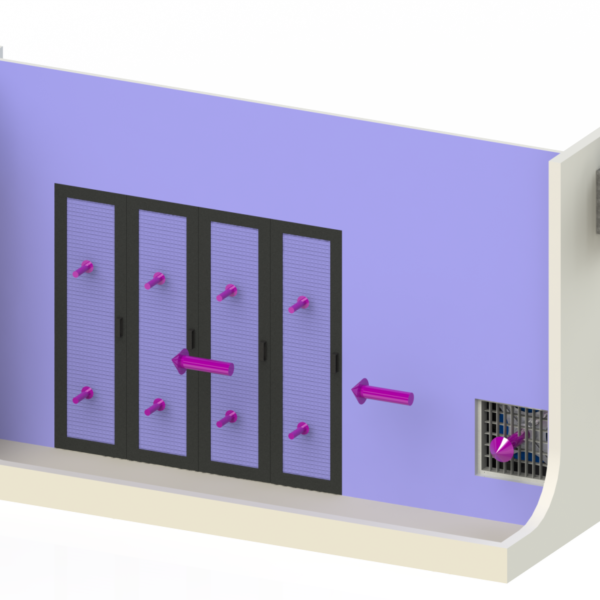 The unit has a number of configuration options to accommodate varying installation constraints. The ECT unit is also available in a 10800m3/hr model for larger IT loads and data centres. Filtration EU4 supply filter included, recirculation filter plenum and/or filter plinth options avaliable. Attemperation Mode: In attemperation mode, cold supply air is mixed with warm recirculated air via a damper on the top of the unit, this allows closer control of temperatures for IT environments. 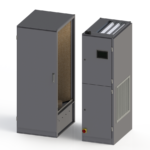 The standard unit is supplied assembled and comprises of a fan chamber and a corrosion resistant AluZincTM wetbox. When assembled the unit is able to fit through a single door, it can be split into two pieces allowing for movement through smaller spaces. Fan: The unit comes with a 450mm centrifugal EC fan. Use of EC (Electrically Commutated) fans results in significantly quieter and more energy efficient operation than AC alternatives. Filtration: The cooler contains an EU4 filtration panel at the fresh air intake which has an inbuilt insect screen. Additional filtration options are available for recirculation and supply air. Control System: Inbuilt CREC® control system with integrated touch screen. EcoCooling offers a commissioning service after installation of the ECT5400 unit and inbuilt CREC control system. It is recommended that the cooler is serviced every 3 months. Standard EcoCooling components are used which are available ex-stock. The table below outlines the cost comparisons of the ECT5400 evaporative cooler with traditional DX (Direct Expansion) and CW (Chilled Water) air-conditioning systems. System Design: 15kW cooling load. Electricity at 10p/kWhr. Water £1.00 m3. London location. 24/7 usage. Worried you don’t have enough space in your room for an internal unit? See our ECP product range for an external alternative. 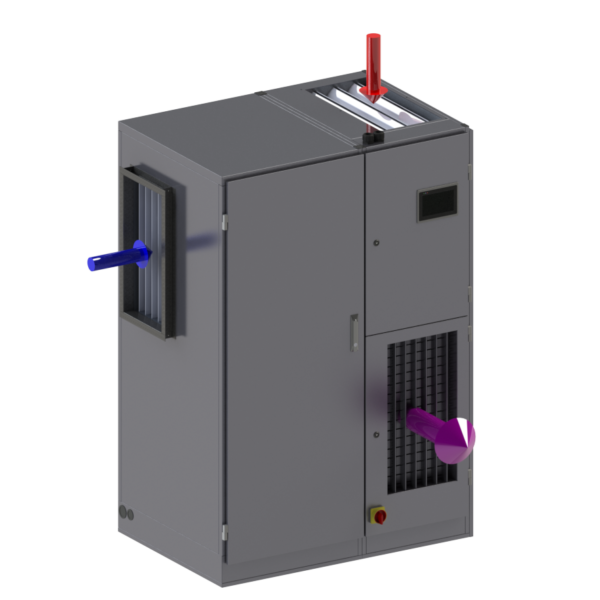 Only interested in free cooling, but don’t want supplementary evaporative cooling, see our ECV product ranges for our FreeCoolers.